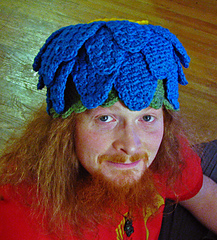 This flower hat comes in adult size only. 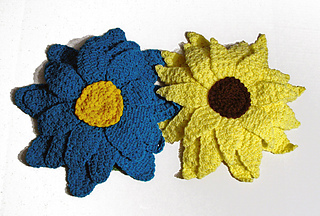 It comes with two styles of petals, Sunflower (pointed petals) and Gerbera (rounded petals). 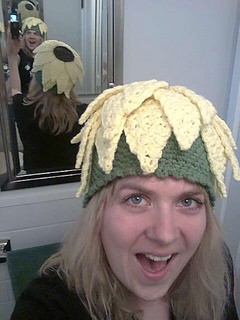 A base hat is worked first, then the petals are worked individually and sewn onto the hat. 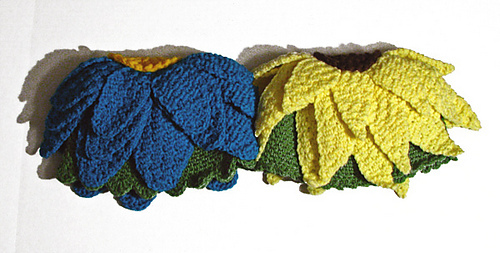 Stitches used are ch, sl, sc, hdc, dc, and moss stitch with explanations for each. The pattern is written, with abbreviations and full color photos. ColorA - base hat (uses about 150 yards), I recommend a GREEN for this!